HQ: Katy performs at SAP Center in San Jose! Katy continued her #WITNESSTHETOUR in San Jose yesterday. Photos from the concert have been added below! Sorry for the lack of posts, I have been updating the gallery though with photos the next day! So keep checking back every day! Katy Perry Exhibit Launching at Grammy Museum! Katy Perry will be the focus of a new display at Los Angeles’ Grammy Museum celebrating some of the most iconic fashion moments of her career. The exhibit, titled “Katy Perry Frock & Roll: Transforming Music and Fashion,” will open on Nov. 7, the same day Perry kicks off her three-night run at L.A.’s Staples Center as part of her ongoing “Witness” tour. The exhibit will be on display on the Museum’s third floor through spring 2018. The costumes and wardrobe pieces on display include her Grammy performance and red carpet pieces; outfits from her 151-date Prismatic World Tour, during which she played to 2 million people; and the number she wore when headlining the Super Bowl XLIX halftime show, which remains the most-watched Super Bowl halftime show to date. Katy will headline Abu Dhabi NYE Concert! Katy Perry will ring in the new year in Abu Dhabi. The US pop star has been announced to perform at Yas Island’s du Arena on December 31. The news marks the Abu Dhabi debut for the 33-year-old (real name Katheryn Hudson) whose previous UAE shows have been limited to Dubai. Her last appearance was in 2015 where she performed as part of the Dubai Air Show exclusive gala dinner at Atlantis The Palm. Perry returns to the UAE on the back of her latest album Witness. Released in June, the album has been well received, having topped numerous international album charts in addition producing the hits Chained to the Rhythm and Swish Swish. With each world tour boasting elaborate production tying with album’s theme, Perry’s latest show is now different. Her latest stage design has a large eye shaped screen with Perry and her crew dancing over various stage platforms and in one case a floating cuboid. During her present North American tour, Perry was also spotted riding onto the stage on a motorcycle. On the fashion front, Perry’s stage wardrobe is characteristically bold. Her costumes include a sparkling hooded red-dress, there are also an array of pantsuits and leatherjackets while her backing singers wear dresses of different shapes and in one section paper doll cut outs. Born in Santa Barbara, Perry initially launched her music career as gospel singer in 2001 before moving towards pop music after the failure of her 2001 debut Katy Hudson. Hooking up with top songwriters Max Martin and Dr Luke, the singer released her second album, 2008’s One of the Boys which was home to the hits I Kissed a Girl and Hot’n’Cold. 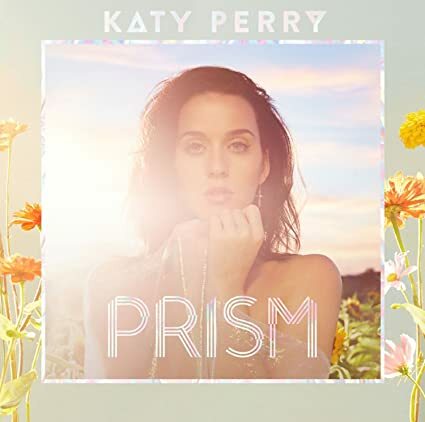 Her follow up albums 2010’s Teenage Dream and 2013’s Prism saw her perfecting her brand of colourful and exuberant pop with anthems California Gurls and Roar. With 67 million followers on Instagram and 100 million on Twitter, this CoverGirl brand ambassador certainly has the widest reach. But she doesn’t care if you use the products she’s promoting or not — as long as you’re true to yourself. ‘American Idol’ Judges talk to Extra & ABC! HQ + Videos: American Idol judges on GMA! Katy and the American Idol judges were on ‘Good Morning America’ this morning, after starting auditions in New York yesterday. HQ photos of her arriving/leaving have been added + videos below! PHOTOS: Katy performs in Pittsburgh & Columbus! Xfinity Tour Series | Promotional Video!